Cleveron won the grand prize in "Delivery Innovation of the Year"
The global technological publication annually hands out awards in various categories. Postal Technology International Awards are designed to recognize and reward all the hard work currently taking place in the postal industry. The awards cover various areas of the industry. Therefore nominations can be put forward by anyone working in the sector (according to the website). This year, Cleveron AS together with their partner Bell and Howell participated in the category of "Delivery Innovation of the Year" with the innovative PackRobot. This category covers solutions for final mile delivery, the first mile, returns, click and collect, drop off, and new delivery models. In addition to Cleveron, four other nominees made it to the finals. In conclusion the jury chose the winner. 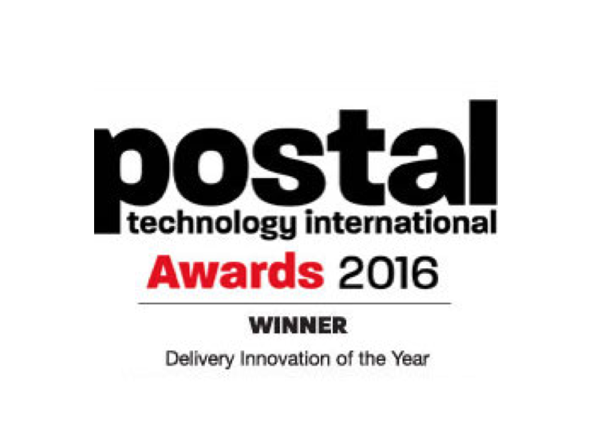 According to Postal Technology, the judging panel for the awards is made up of major decision makers within the world’s posts. Cleveron's competitors in the finals were Bpost, Lithuanian Post, DPD, Prime Vision, Keba and SingPost. Consequently, will reduce the waiting times at pick-up points. In addition, these maximize the storage space used for parcels. A five meters high PackRobot uses smart storage system. It utilises the floor space and the machine’s volume to the maximum. All parcels are transmitted through a single door. User interface has been design with the customer in mind. It is user-friendly and gives clear instructions to complete the action fast. There is no surprise that Cleveron's product was chosen as the winner. Cleveron is an Estonia-based postal technology company that specializes in the design and manufacture of customer-focused automated parcel terminals and software. Cleveron has broad experience in logistics. The company has a unique understanding of the challenges posed by the rapidly growing parcel delivery market. The mission of Cleveron is to make sending and reception of parcels as effective, fast, convenient and favorably priced as possible. This is achieved by offering modern technology-based solutions. Its automated parcel lockers for indoor use are present in eight different countries. In 2015, Cleveron has reinvented its newest automated parcel terminal called PackRobot. The model has a unique smart storage system that optimizes the use of available store. In addition, has an internal climate control for outdoor use. For additional information, visit cleveron.eu/packrobot. Bell and Howell is shaping the future of mail and commerce. We deliver innovative service and technology solutions that enrich customer communications and fulfilment for the world’s largest finance, industry and public sector enterprises. Our software and hardware streamlines high-volume, high-integrity production of customer communications and products, maximizes postal discounts, and monetizes every customer touchpoint. Our service organization is among the most sophisticated in the world for production workflow, automation and industrial mechatronics. Headquartered in Research Triangle Park, N.C., with offices around the world, Bell and Howell is the trusted partner to thousands of organizations globally, including Cleveron’s partner in the US and Canada. For additional information, visit BellHowell.net.